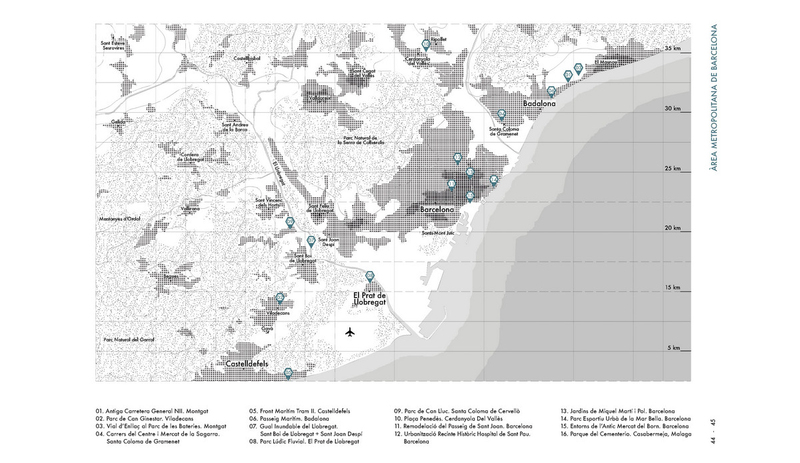 The Cities Connection Project (CCP) seeks to establish connections at the level of architectural themes between Barcelona and other European cities or regions with an important architectural tradition. 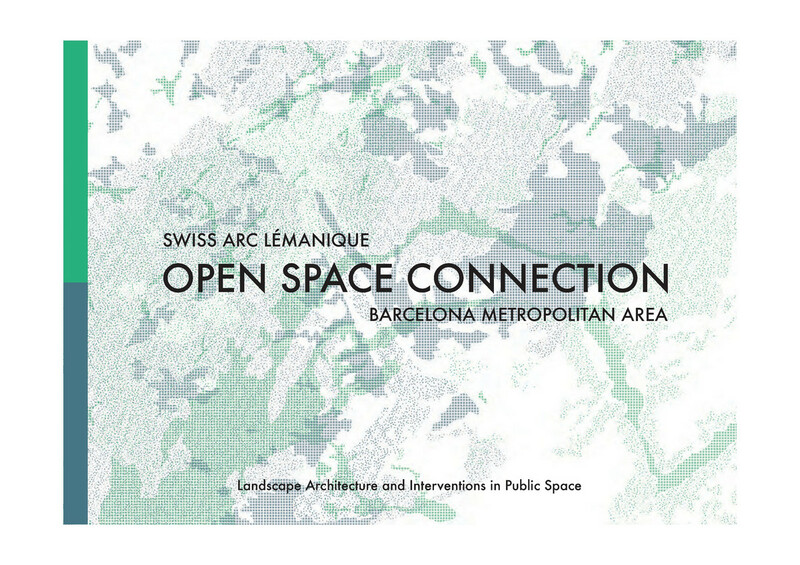 The Open Space Connection (OSC) was born as a spinoff of CCP, focusing on the field of public spaces in metropolitan areas. The principal aim is to present in a reciprocal arrangement works that reflect the best state-of-the-art public spaces and landscape architecture of each place, highlighting the achievements of projects carried out over the last ten years. A further aim is to create a network of cultural connections between cities in order to affirm the value of contemporary architecture and urbanism. Each ‘connection’ starts off with a first exhibition in the guest city or region, showing the projects of the two connected metropolitan areas, and is followed in due course by a return exhibition in Barcelona. 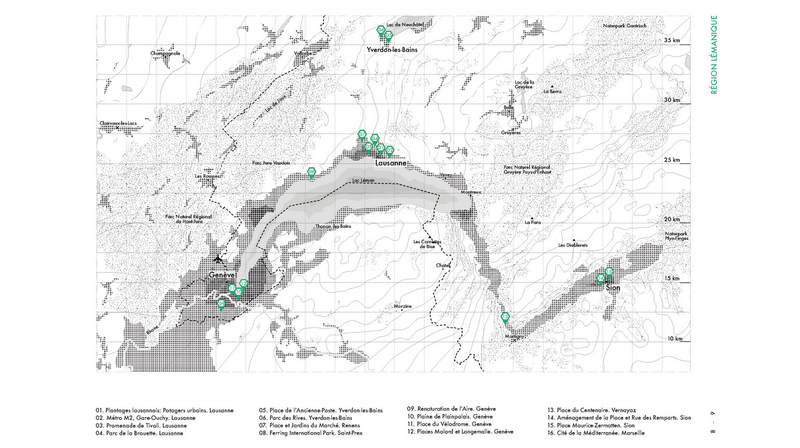 Each new ‘connection’ is articulated around a selection of 15+15 projects related to the specific characteristics of each city or region. The primary objective of these exhibitions is to create synergies among the institutions, the universities and, above all, the invited architects, engineers and multidisciplinary teams who developed the projects. 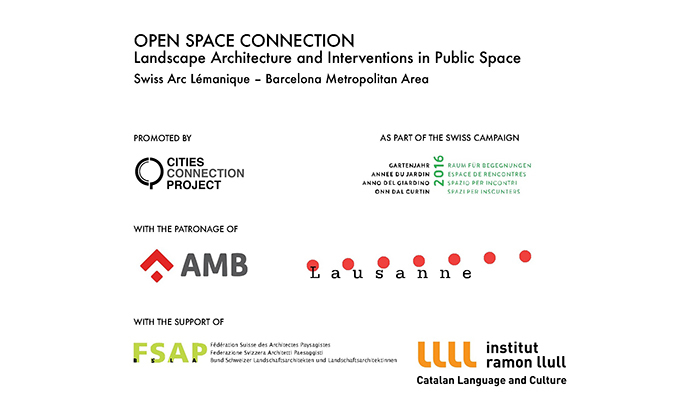 In the first edition of the Open Space Connection the curators aim to encourage reflection on two differents ways of conceiving public spaces and landscape architecture: one of them in the the French Swiss Region of Lake Geneva and the other one in the Barcelona Metropolitan Area. This first edition, in order to broaden the discussion and incorporate new connected territories, also features two projects from two other cities, Málaga (Spain) and Marseille (France). The two exhibitions of the first edition of OSC will be held at l’Orangerie du Spadom in Lausanne (October 2016), as part of a larger event called Année du Jardin 2016, and at the Botanical Gardens in Barcelona (May 2017). Translations: Ted Krasny (ENG). Texts in projects by each studio.